Game of Cones…Returns with a whole new season. March 29, 2019 / Romps / Comments Off on Game of Cones…Returns with a whole new season. Dairy Dock returns..It was Mint to be. 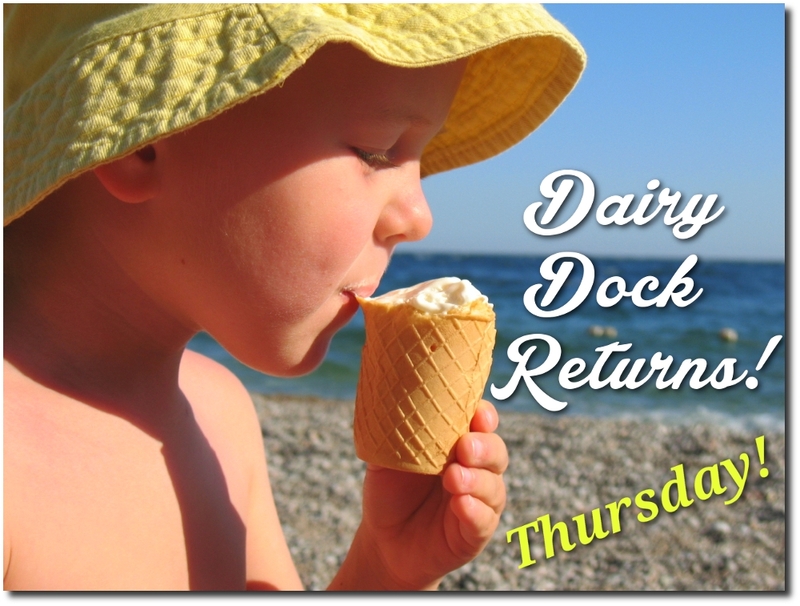 First up, we were very excited to announce on our Facebook page yesterday, and to share with you today the return of Dairy Dock in just a few weeks, on April 11th. We cannot wait to get the sweet tooth satisfied and the summer started. Likewise, we also spent the week getting the rest of the docks in and are prepping for the upcoming Launch Season. You should be getting your Launch Orders in the mail, we have them in the store/office as well if you need one. Have questions about the services you require? Just stop in and let us help you fill your order out, we are open both Saturday and Sunday 10 am to 3pm to assist you in having a hassle free spring. Plus the coffee is free! A little of this…a little of that. Dock boxes will start to go out this weekend, dockside electric is on, but dockside water will have to wait until the freezing overnight temps subside. It won’t be long until we get that on as well, so stay tuned. The Gas Docks are in, but the pumps are not hooked up yet, we hope to have that done in the coming week as well. 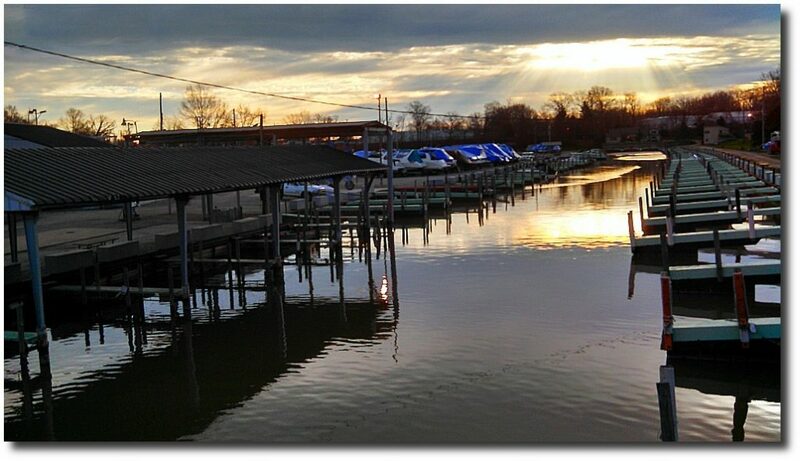 All in all we’ve has a good start to spring and the best part is yet to come at your favorite Lake Erie Marina! 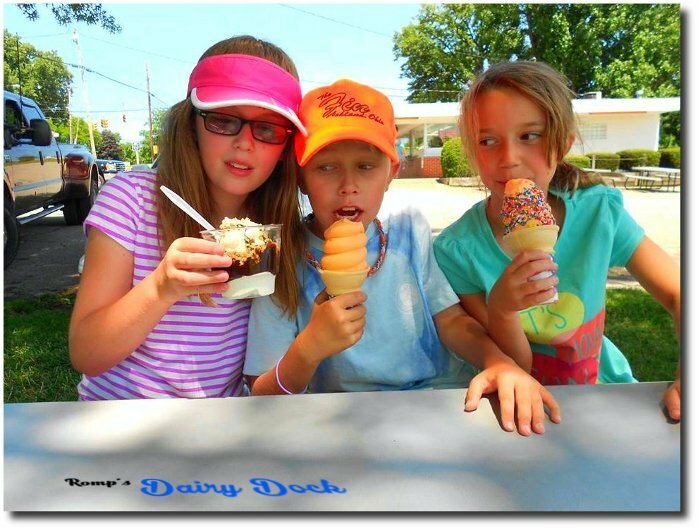 Dairy Dock is Back…Have a Delicious Day! April 10, 2018 / Romps / Comments Off on Dairy Dock is Back…Have a Delicious Day! 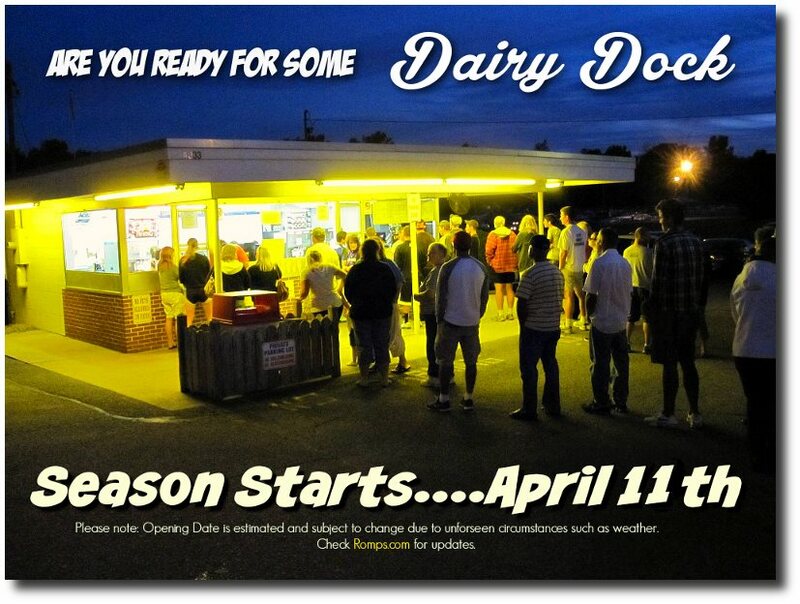 Within roughly 24hrs of now, an annual Vermilion tradition returns signaling the official start to our “Sweet Season” here at your home-port as this Thursday Dairy Dock opens (April 12th) at 11:30am. Because Sprinkles are for winners! It won’t matter if your a chocolate or vanilla kind of person, we hope you are just ready for some well deserved treats after a long winter break. You don’t have to be a reporter to get this scoop! So hang in there because soon you can hang out with us, at the dock. We are located on the scenic Vermilion River in northern Ohio. 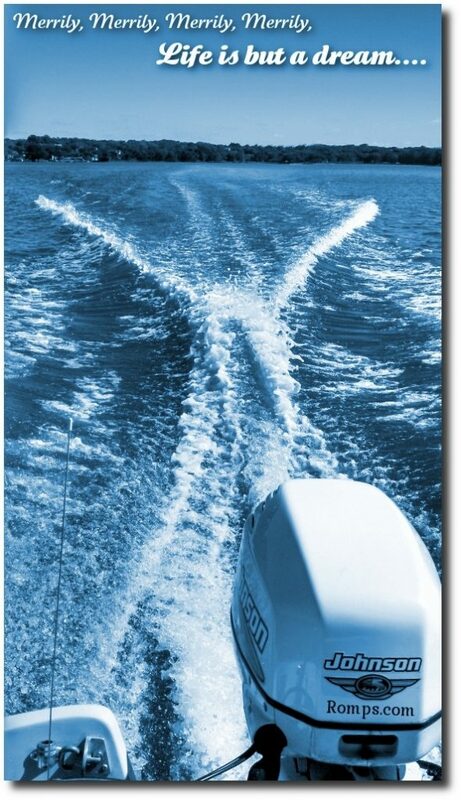 With an ideal location, Romp’s offers easy access to Lake Erie 1/2 mile down river from the marina. Romp’s is a full-service Lake Erie marina featuring dockage for 250 boats, from 13′ to 34′. Best Ice Cream you have ever tasted! If you need assistance, just call and leave a message, we are happy to meet after hours if needed. Now Open during store/office hours. Back in the swing of things soon! 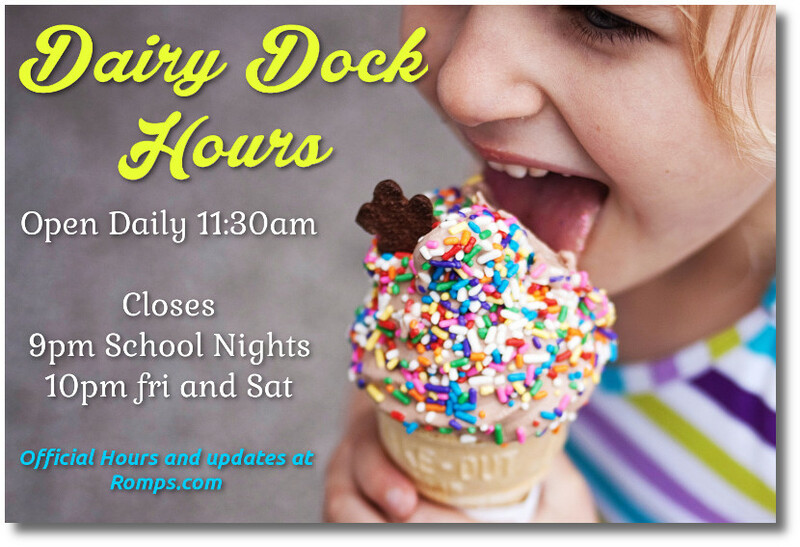 We hope to see you dockside!